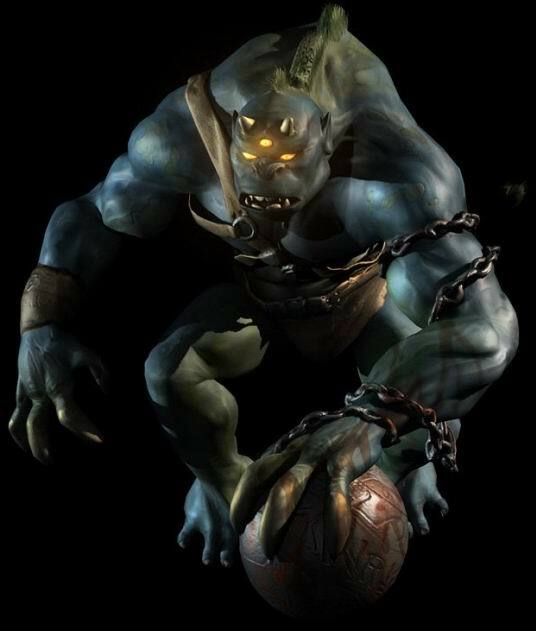 The three-eyed Moloch is a massive, lumbering Oni who had originally come from the Netherrealm and made his debut in Mortal Kombat: Deadly Alliance carrying a massive orb and chain with it, as a non-playable character (excluding third-party devices). 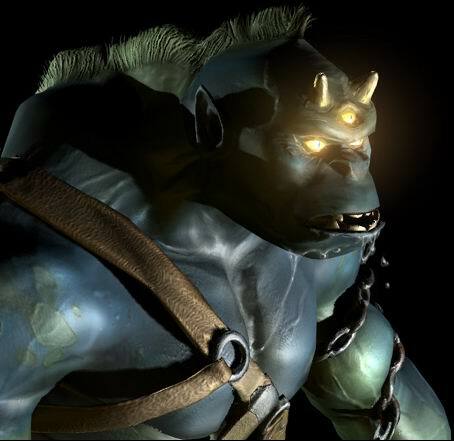 However, in Mortal Kombat: Armageddon, Moloch is a readily-playable character in the game. He has typical miniboss abilities such as great strength, devastating moves and a few weak spots to exploit for the typically more nimble but weaker opponent. 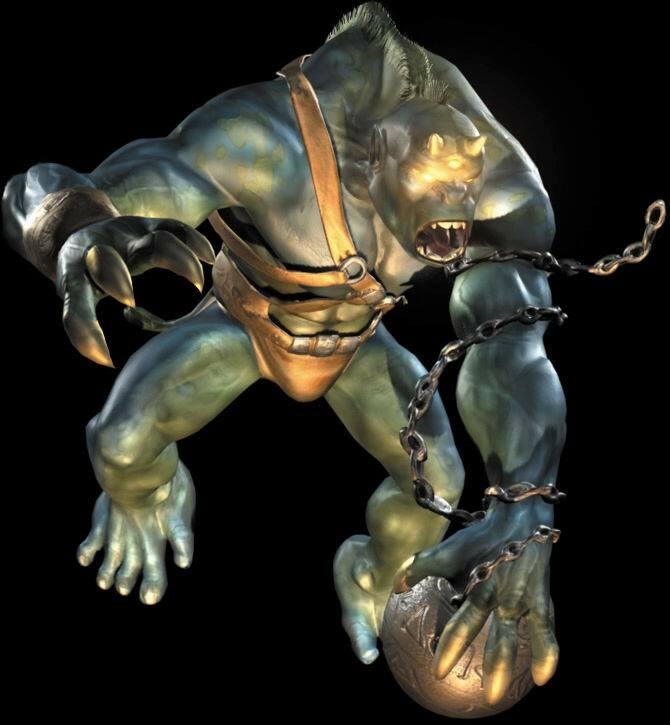 In Deadly Alliance, Moloch is the sub-boss before both Shang Tsung and Quan Chi, and he has no fatality. 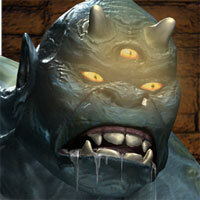 Moloch is the only known ally of his Oni counterpart, Drahmin. Unlike Drahmin however, distorted and consumed by rage as he may be, Moloch has most likely always been a demon from the Netherrealm. The sorcerer Quan Chi confronted Moloch and Drahmin with an offer to free them from the Netherrealm if they protected him from the ninja spectre Scorpion. It was no surprise to Moloch that Drahmin accepted the offer and so they smashed Scorpion whenever he came near Quan Chi. As the two oni were combatting Scorpion, Quan Chi escaped from the dark realm without them. Enraged, Moloch and Drahmin followed Quan Chi through the portal but were transported to a different location than the sorcerer. 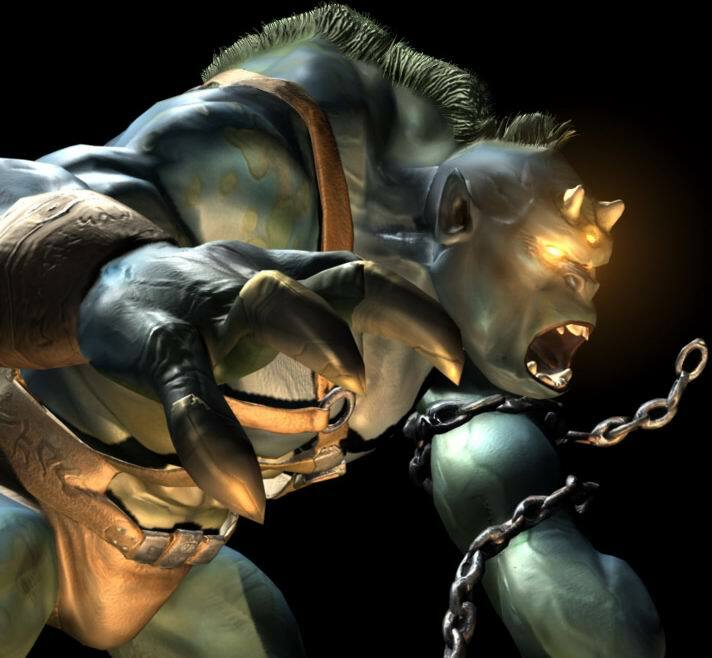 The Oni encountered the cyborg Cyrax in Outworld but were forced to flee from his bombs. Eventually, they took refuge in a forest and fed on those who wandered too close to its borders. Li Mei came too close to the forest, but escaped through the trees. After that, they were enlisted by Shang Tsung and held in the basement of his palace as an insurance policy should Quan Chi turn on him. Eventually, Moloch and Drahmin were set free. Instead of confronting Quan Chi, they ironically protected him by defeating Scorpion and hurling him into the Soulnado. 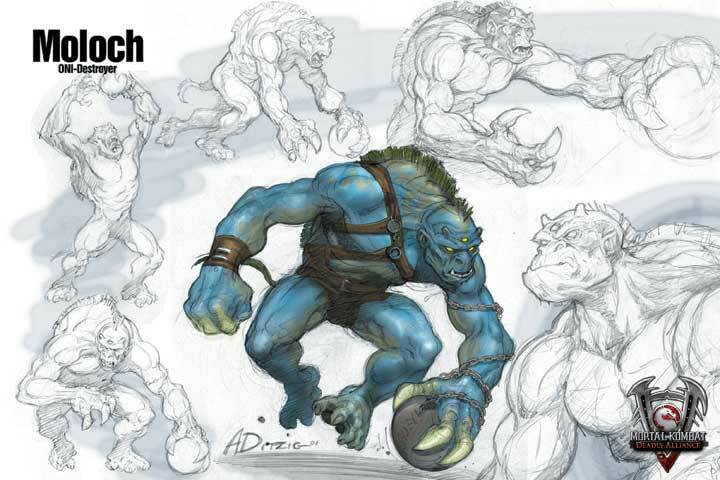 In Mortal Kombat: Armageddon Moloch is shown to be a bit smaller or rather less bulky than he was in Deadly Alliance. 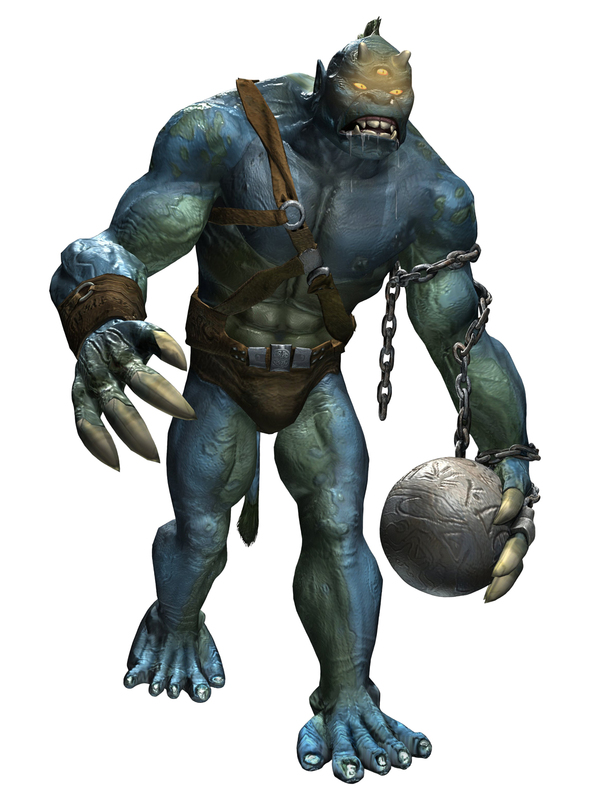 Also, it is worth nothing that he was not carrying his trademark Mystical Orb (aka Ball and Chain) despite the chain still being wrapped around his arm. Originally, it was believed this would mean the Orb would be his weapon fighting style in the game, but it's since been shown he only has one fighting style, leaving the mystery of why the Orb is missing unanswered. However, the Orb does appear in his hand during some of his special moves and his versus screen picture. 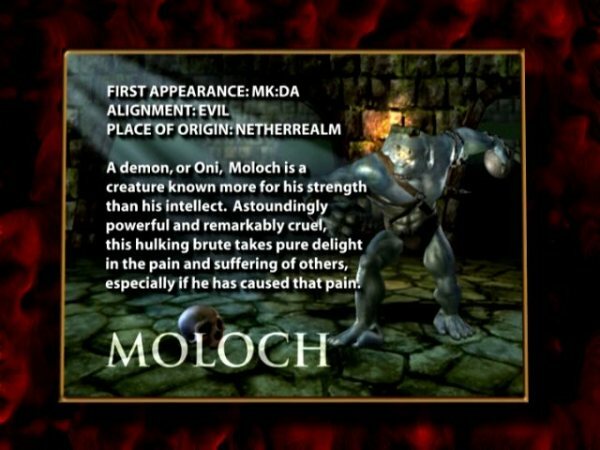 I found Moloch to be one of the few "decent" new character designs to appear in the 3D era of MK games. He's definitely a clever monster design and actually fits into the MK series quite well as a successor to the likes of Goro, Kintaro and Motaro. He's got some brutal moves and is pretty intimidating to fight against. His incredibly ugly mug also suits him.